Stephen’s Children Founder Mama Maggie Gobran was recognized with an Arab Hope Maker Award on May 18, 2017. The award, given by Emirati Vice President, Sheik Mohammed bin Rashid Al Maktoum, recognized five leaders from among 65,000 nominees. Coverage of this major award can be found in Egyptian and Emirati news sources. More about the award is here at its official website. 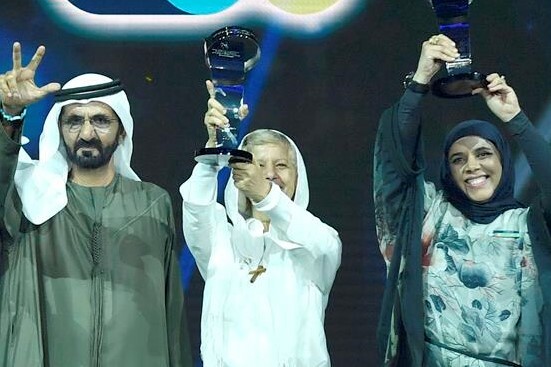 “The value of a human is incomparable to any other value,” Mama Maggie said as she addressed the award ceremony audience of more than 2,500 in Dubai.